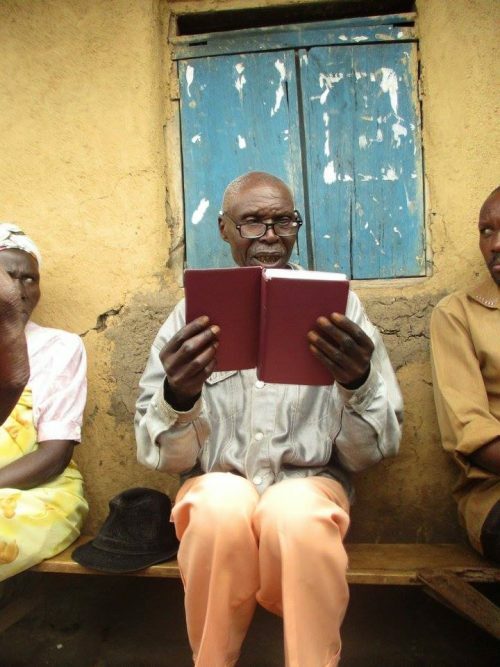 The reading glasses project began late in 2014, when Elius told us that the elders of his church in Iruhuura were struggling to read their bibles – they just couldn’t see the small text any more. 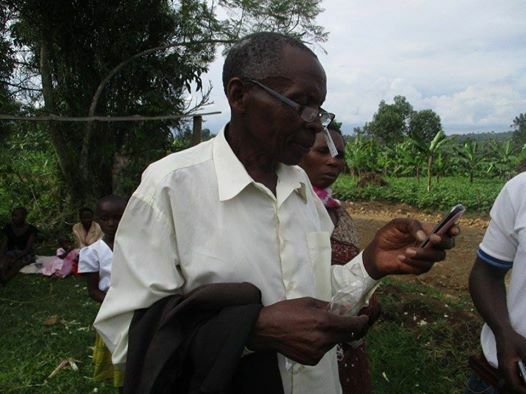 In the west we are very familiar with the 50 + age group reaching for their reading glasses but in rural Uganda such things are just not available. 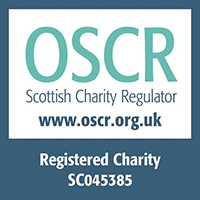 This is outside the funding remit for The Uphill Trust but we wanted to help. 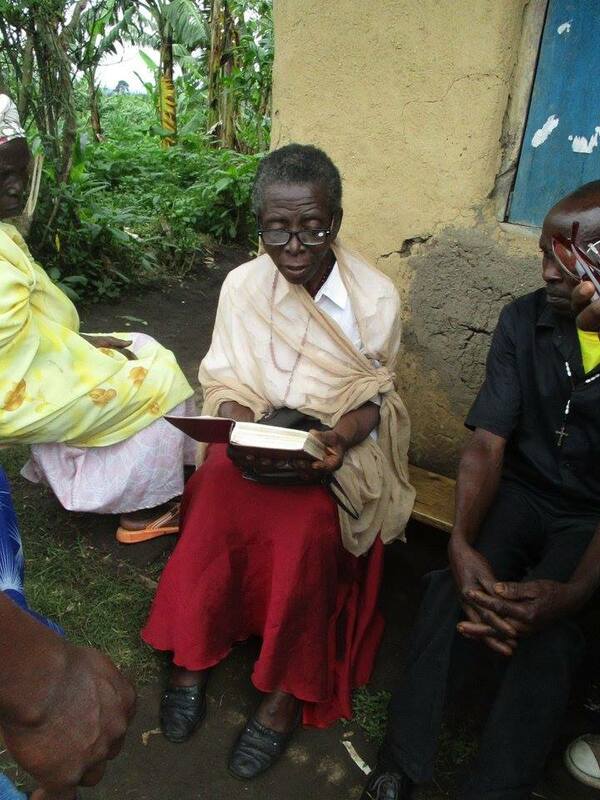 The first batch of reading glasses that we took to Uganda in 2015 were donated by the Scottish charity Vision Action, and they came with reading test sheets to allow the correct lens strength to be recommended. 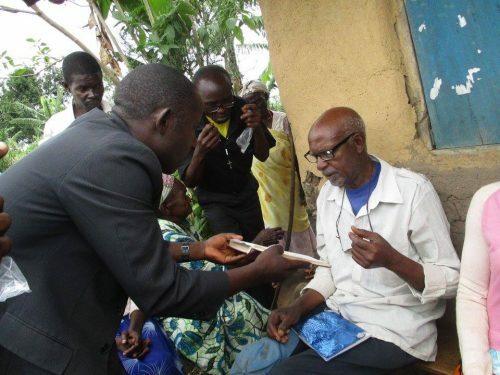 A very successful ‘Reading Glass Clinic’ was held after the Kindergarten Graduation ceremony and since then, word has spread throughout the local church communities. We discovered that reading glasses can be picked up in all sorts of shops in the UK, often priced around £1/pair, so now the trustees scoop up higher strength glasses (+2 to + 3.5) whenever we see them and tuck them into our suitcases when we visit the school. 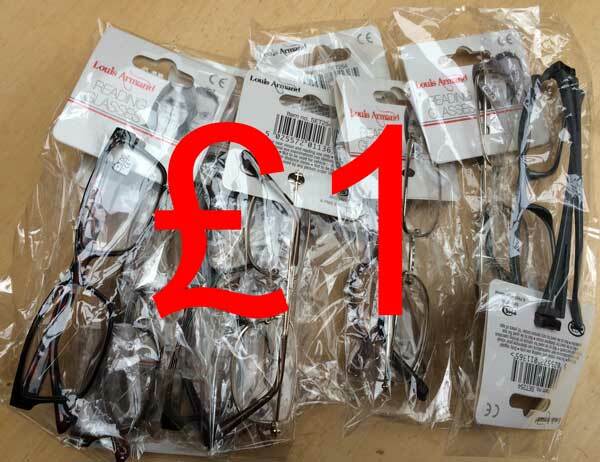 For the price of a cup of coffee we can donate 2-3 pairs of glasses – it’s that easy! We have had some lovely donations of reading glasses from other supporters too – do contact us if you would like to help. Simple glasses used to correct age-related long sight only, please – unfortunately we are unable to take glasses with prescription lenses to correct short sight, astigmatism and other sight disorders. This gentleman is a local council chairman and he told Elius “My Vice (Chairman) will not longer give (me) wrong recommendations. I am back in the system.” Everyone around him laughed! Whenever we visit Iruhuura to see how our projects are the school are progressing we are always very warmly recieved by everyone there and it gives us great pleasure to be able to give something back to the wider community, when we can. 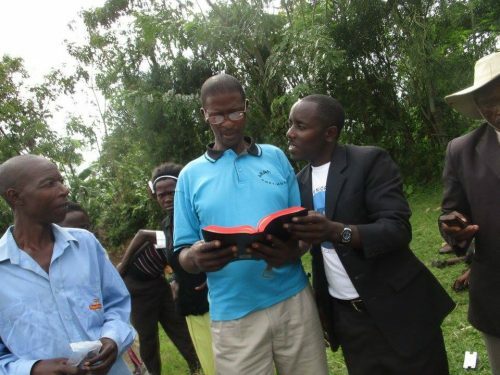 As you can see, as little of what we have over here goes a very long way in rural Uganda. UPDATE APRIL 2018: When we visited the school again in March 2018 we took another 144 pairs of reading glasses out in our suitcases. Once again, these were very warmly received.